Ireland has been known through the centuries as the Island of Saints and Scholars. 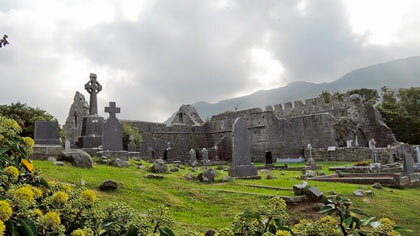 Our Patron Saint Patrick converted the Emerald Isle to Catholicism and founded many monasteries to keep the flame alive. Monasticism expanded from 432 to the suppression of monasteries under Henry VIII in 16th century. Christianity took strong roots in County Mayo and some of the Mayo abbeys are among the most attractive ruins in Ireland. Several Orders of Friars had their monasteries here. Moyne Abbey was one of the chief houses for the Franciscans of the Strict Obedience and many young Irish Franciscans studied here. 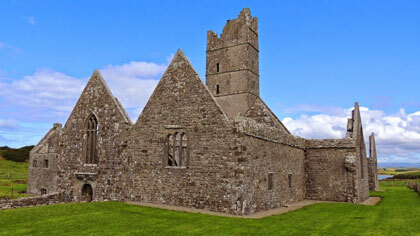 The nearby Rosserk Abbey was built for the Franciscan Third Order Regular (TOR), which was made up of both males and females clerics and non-clerical members, but here, in the West of Ireland, the community was wholly male. Teaching was the mission of the religious. They were focused on the cultural and local interests of Gaelic Ireland, for this reason history, songs, sagas, and stories of heroes were preserved. Urlaur Abbey and Burrishovole Abbey were Dominican friary. 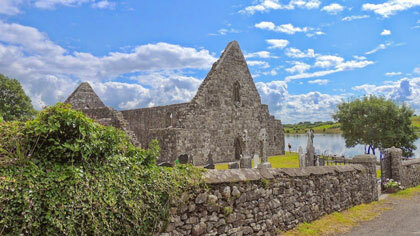 Murrisk Abbey and Ballintubber Abbey were founded for the friars following the rule of Saint Augustine. These are some of the best and most celebrated examples. A visit throughout Mayo must include one of them! 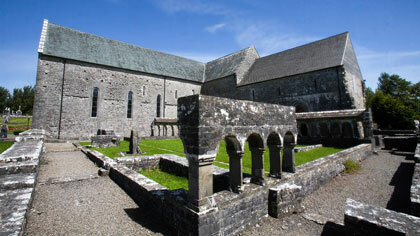 Moyne Abbey is located on the west side of Killala Bay, near Ballina. Rosserk Abbey is generally accepted as the finest Franciscan construction in the country. Burrishoole Abbey, a National Monument located near Newport, is a hauntingly beautiful ruin. Ballintubber Abbey is known as the Abbey that refused to die. 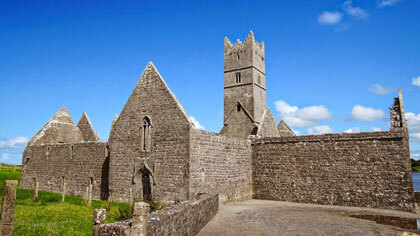 Murrisk Abbey is an ancient abbey built on the site of a previous church founded by St. Patrick. Urlaub Abbey lies on the shores of Urlaur Lake, near Kilkelly.